Location of initial SCP-2822 discovery. Special Containment Procedures: A perimeter is to be established in the valley surrounding the Foundation-acquired residence at the foot of Madone di Càmedo, which functions as a rendezvous point for Foundation personnel and SCP-2822. Four security officers and five research staff members are to be stationed at the Madone di Càmedo home. The perimeter is to be patrolled by security personnel three times each day, with rotating shifts. Should a non-authorized individual attempt to enter the perimeter, they are to be turned away with the explanation that the land is privately owned and undergoing environmental restoration. Level-2 security clearance is required for direct interaction with SCP-2822. If an instance of SCP-2822-B is isolated from the population of SCP-2822-A, personnel are to guide an SCP-2822-A individual to accompany them in retrieval of the 2822-B instance. Grass and other vegetation within the perimeter is to be routinely trimmed to ensure SCP-2822 visibility. SCP-2822-B are to be washed monthly, and a count of individuals is to be performed daily to identify any new additions to the population. Description: SCP-2822 is the collective designation for two populations of rock-based anomalous entities, SCP-2822-A and SCP-2822-B. SCP-2822-A are humanoid entities comprised of tightly-packed crushed stone calcite gravel, standing approximately 30 cm in height. The chemical makeup of SCP-2822-A is consistent with that of sedimentary rock samples taken from the initial discovery site. SCP-2822-A individuals lack digits and facial features, and do not appear to be capable of verbal communication. SCP-2822-A are able to move autonomously using bipedal locomotion, but tend to remain stationary for long periods of time. SCP-2822 instances do not appear to need any form of sustenance. SCP-2822-B are mineral solids of various shapes and sizes (relative to SCP-2822-A dimensions) which universally demonstrate independent locomotion, usually through rolling.1 When in the presence of other SCP-2822-B instances, SCP-2822-B engage in social behaviors (e.g., herding, grazing on mosses and lichens) common to domesticated animal livestock. Currently, 36 specimens of SCP-2822-B have been identified and tagged. Of note, thirteen SCP-2822-B were created under Foundation surveillance. Field observations have indicated that instances of SCP-2822-B are most commonly generated when an SCP-2822-A individual makes physical contact with a mineral solid for an extended period of time, usually by holding a stone in its hands. SCP-2822-A exhibit discerning behaviors when selecting new material for SCP-2822-B instances, and tend to favor roughly-spherical stones 10-20 cm in diameter, and ranging in weight from 2 to 4 kg. Additionally, any mineral solids contaminated with artificial materials, including plastics, will be ignored by SCP-2822-A. Preference for following and remaining within 10 meters of SCP-2822-A. Ability to distinguish between individual SCP-2822-A entities and potentially imprinting of specific SCP-2822-A entities as caretakers. Defensive behaviors, including rolling at increased speeds to disrupt nesting birds. Growing a coat of progressive layers of moss and lichen. Chemical analysis of moss samples taken from SCP-2822-B indicates no anomalous substances present. Maturation, as evidenced by incremental size increases. Development of a small hollow cavity, similar to those of geodes, once the individual has exceeded 50 cm in diameter. 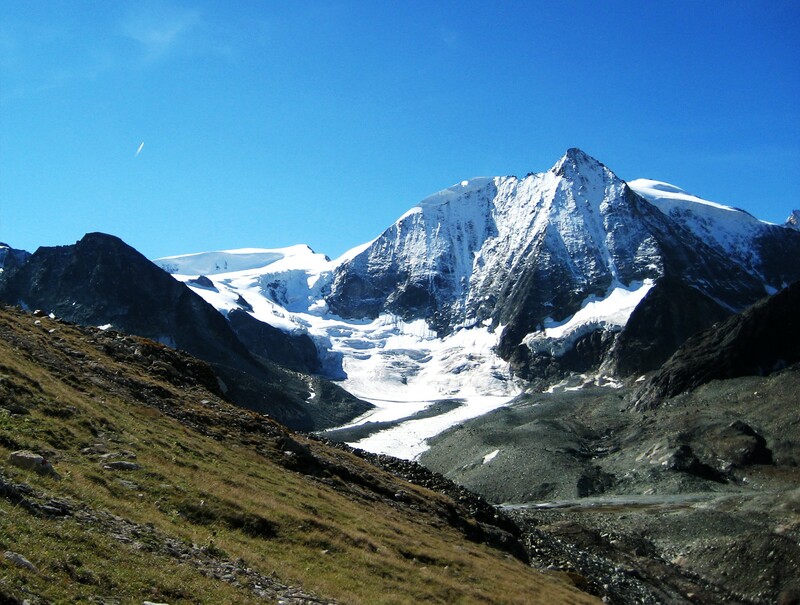 Addendum 2822-1: SCP-2822 initially came to Foundation attention following reports of unusual landslides in the Madone di Càmedo mountain in Switzerland. Amina Favre, an elderly citizen of Cevio inhabiting a small residence at the foot of the mountain, was noted to have traveled on foot regularly to Madone di Càmedo. Foundation inspection revealed that she did so in order to interact with SCP-2822. When questioned, Favre claimed she had been visiting the mountain for 13 years, and had become familiar with SCP-2822 to the point of giving both SCP-2822-A and SCP-2822-B instances names and bathing SCP-2822-B instances regularly. Favre was granted Foundation protection and allowed to continue visits to SCP-2822. She passed away six months following her contact with Foundation agents, at the age of 87. As per her wishes, Foundation personnel interred Favre at Madone di Càmedo in the presence of SCP-2822-A. Upon the first direct contact with Foundation individuals, SCP-2822-B ignored the personnel, while SCP-2822-A instances maintained a moderate distance when approached. Subsequent visits involving Foundation staff carrying buckets of soapy water were met with curiosity, and eventual enthusiasm from SCP-2822-A individuals, which proceeded to make simple gestures to SCP-2822-B instances indicating a preference for what order they should be cleaned in. At the time of containment establishment, there were three recorded instances of SCP-2822-A and 23 recorded instances of SCP-2822-B. Addendum 2822-2: On ██/██/████, a new instance of SCP-2822-A was noticed among the population of SCP-2822. The new instance was accompanied by a pair of SCP-2822-B individuals, possessing an unusual composition of marble and limestone. The current SCP-2822-A population quickly accepted the new instance into the group following a brief examination of the new 2822-B. The range of stone materials SCP-2822-A are familiar with is unknown. Of note, SCP-2822-A have been known to exhibit some familiarity with mother-of-pearl, as per testimony related to Foundation personnel by Amina Favre describing how SCP-2822 reacted to various trinkets she brought to them. Addendum 2822-3: As of approximately seven months following Amina Favre's passing, SCP-2822-A have been noted to visit Favre's grave to leave swathes of moss taken from SCP-2822-B over the headstone. On ██/██/████, the entire SCP-2822 population visited Favre's grave, led by an SCP-2822-A individual holding a new instance of SCP-2822-B believed to have been generated from an existing 2822-B individual. The new instance possessed a vivid blue coloration, believed to be due to the metamorphic rock composition containing lapis lazuli. As of that time, only two SCP-2822-B individuals were known to possess metamorphic rock compositions. Subsequent imaging of the SCP-2822-B population found that three "mature" 2822-B individuals were carrying small stones within their hollow cavity. 1. Specimens of SCP-2822-B that do not exceed 3 kg in weight or have sustained damage are observed to slide smoothly along surfaces instead.